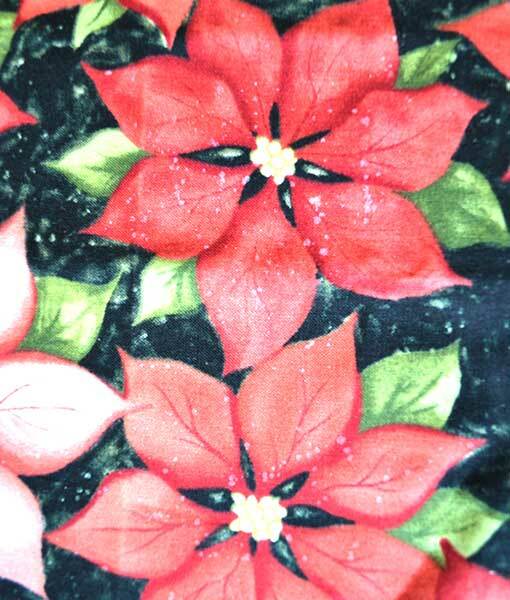 A cotton fabric with black background and multi-directional large red poinsettias and green leaves. Pattern repeat is 30 cm. Only available in fat quarters.